The widely respected political journalist Michael Barone's take on the battle of Wisconsin: Everyone has priorities. During the past week Barack Obama has found no time to condemn the attacks that Libyan dictator Moammar Gadhafi has launched on the Libyan people. But he did find time to be interviewed by a Wisconsin television station and weigh in on the dispute between Republican Gov. Scott Walker and the state's public employee unions. Walker was staging "an assault on unions," he said, and added that "public employee unions make enormous contributions to our states and our citizens." Enormous contributions, yes -- to the Democratic Party and the Obama campaign. 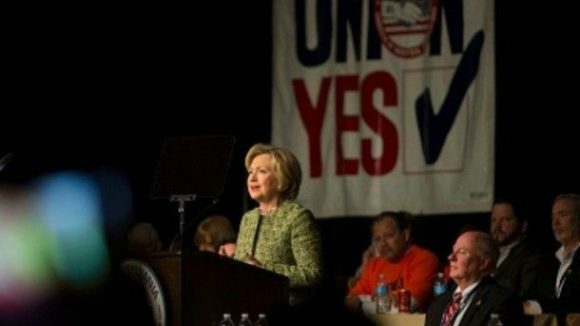 Unions, most of whose members are public employees, gave Democrats some $400 million in the 2008 election cycle. The American Federation of State, County and Municipal Employees, the biggest public employee union, gave Democrats $90 million in the 2010 cycle. Follow the money, Washington reporters like to say. The money in this case comes from taxpayers, present and future, who are the source of every penny of dues paid to public employee unions, who in turn spend much of that money on politics, almost all of it for Democrats. In effect, public employee unions are a mechanism by which every taxpayer is forced to fund the Democratic Party.